One .25 fl. oz. of adhesive and one .5 fl. oz. of remover. 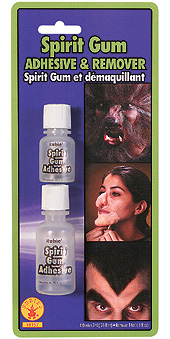 Use to apply prosthetics and theatrical hair.